This lapel pin is toxic, man! No, I don't need another spa day! 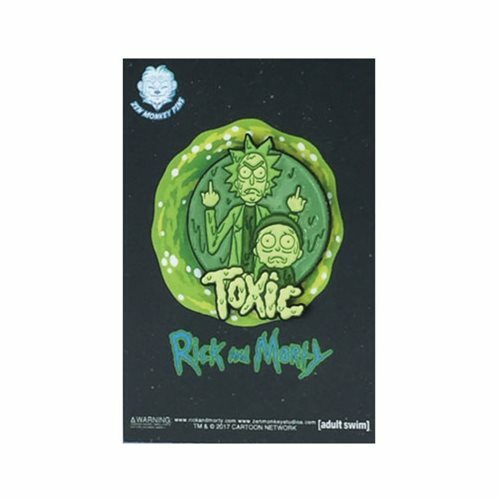 This soft enamel Rick and Morty Toxic Lapel Pin from Zen Monkey Studios is based on the "Rest and Ricklaxation" episode of the show and measures about 1 1/2-inches tall. Awesome! Ages 17 and up.